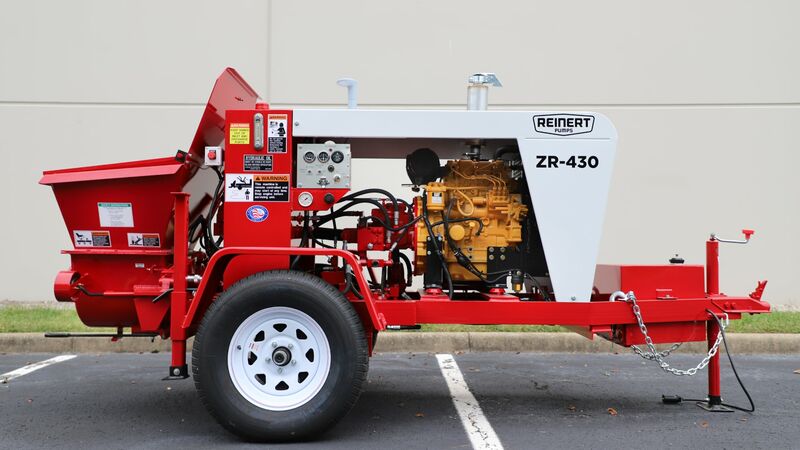 Reinert Concrete Pumps has been providing the construction industry with top-quality small line trailer-mounted pumps for more than 45 years. But our experience isn’t the only reason to call us - Reinert’s lineup features our unique, patented Hinge Valve that enables you to quickly and easily maintain your pump. Like magic, our 3" Reinert swing tube pumps consistently and reliably, with minimum breakdowns. Simply put - if it doesn't say Reinert on the pump, you won’t find it on my trucks. Thank you for the long term commitment that has made me and my family so successful. 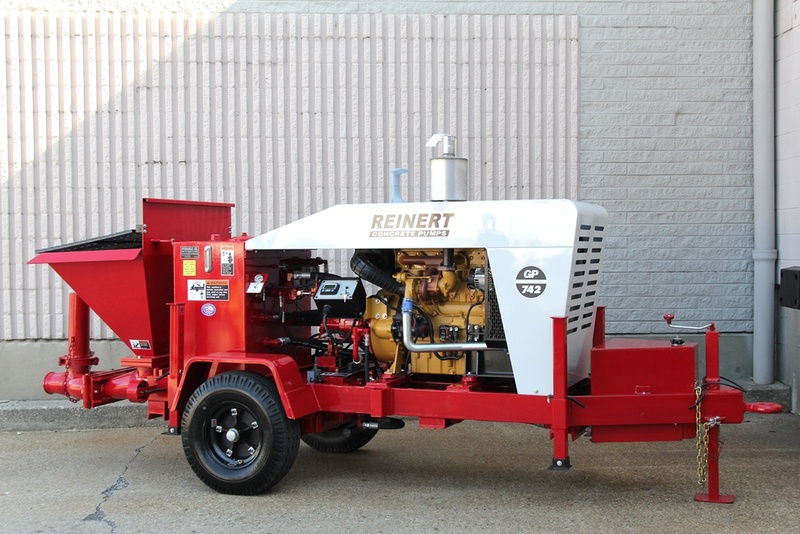 Reinert Concrete Pumps are my #1 choice because of the ease of maintenance and the dependability of the pump. With that combination and Reinert's large inventory of parts, I have more control of my business. Our company started with other brands of pumps and decided in the early 2000's we needed an upgrade to a more reliable concrete pump. After shopping with different manufacturing companies, comparing prices and viewing customer comments, we were convinced that Reinert was the path we needed to follow. 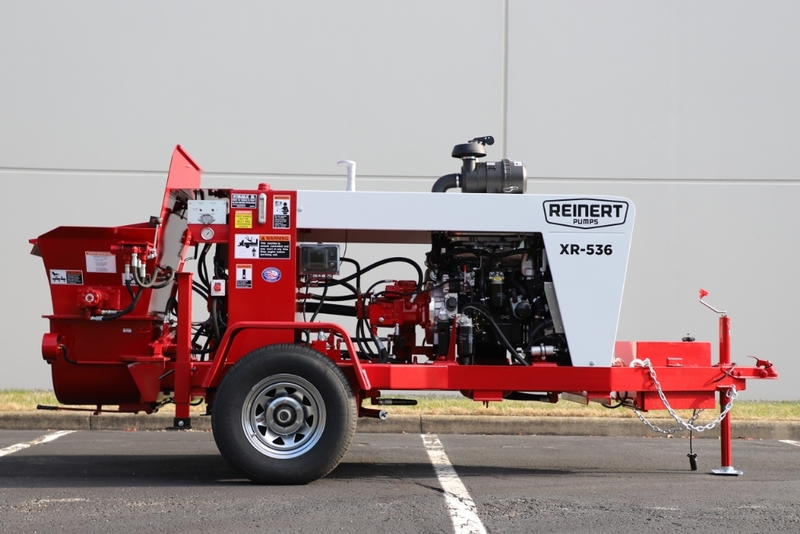 We now own 5 Reinert concrete pumps. We are very pleased with the quality and the service that Reinert provides. I have had five Reinert machines and if I needed another one tomorrow I would buy a Reinert. 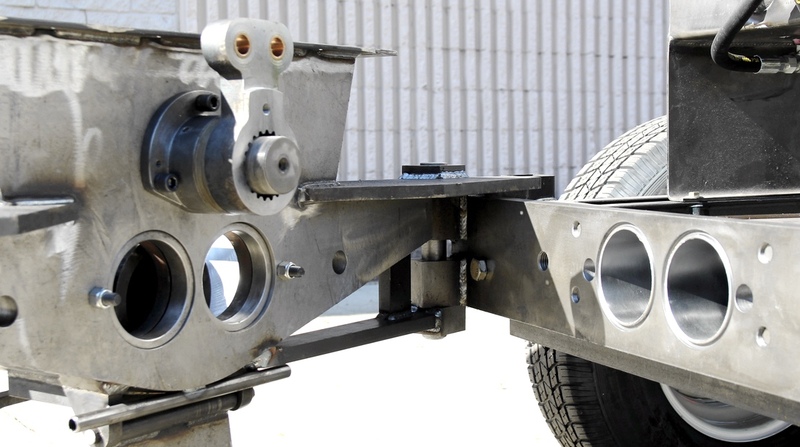 Chris Mackie Triple A Pools & Spas, Inc.
Our Concrete Pumps are lightweight but incredibly sturdy. Ideal for shotcrete, small slab and flat work pours. Models include XR-536, XR-636, and XR-642. Our Grout Pumps are heavy duty and all hydraulic. Designed for auger cast applications and high volume grout jobs. Models include GP-736, GP-742, and GP-748. Our Masonry Pumps are little workhorses and have all the same great features found in our full-size Concrete Pumps. Models include ZR-318, ZR-430, and XR-536. 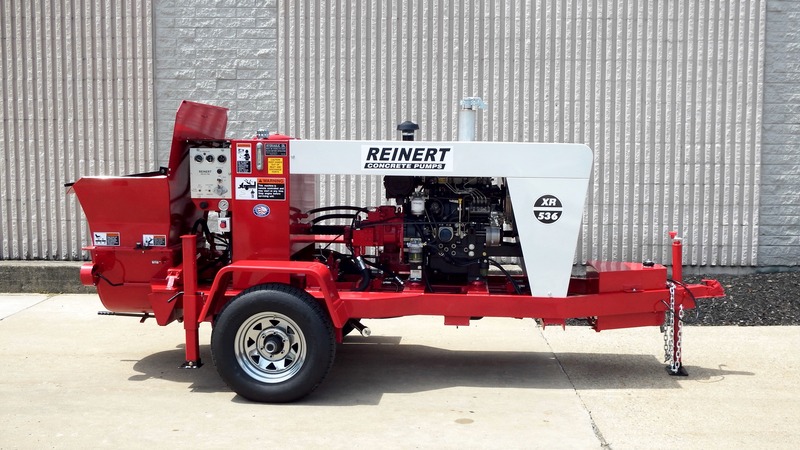 The Reinert S-Tube concrete and pea-rock pumps are built with the patented Hinge Valve. All S-Tube valves have build-up of material that is difficult to clean from the discharge end. The Hinge Valve, when in the open position, gives you access to the inside of the S-Tube. The piston cups are also visible and easy to change with the Hinge Valve in the open position. When clean-up and maintenance go faster and easier, you will save time, labor, and money. We believe in providing top-notch, quality products. For the best performance and value in concrete pumps, trust Reinert. 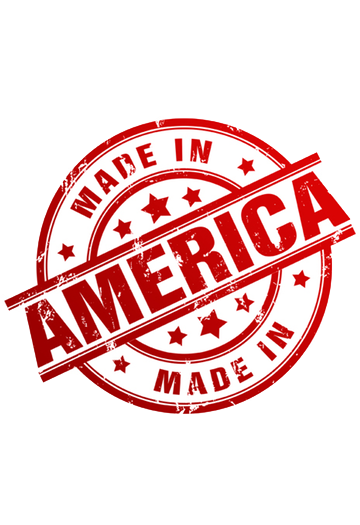 We put American pride into our products and customer service, providing you with USA made quality, and craftsmanship and a superior product. The patented Reinert Hinge Valve permits the S-tube valve to be separated from the material cylinders allowing an easy inspection of the S-tube and the main piston cups. The hydraulic cycling system installed on Reinert pumps is mechanically controlled which means no electric is necessary to operate the pump. 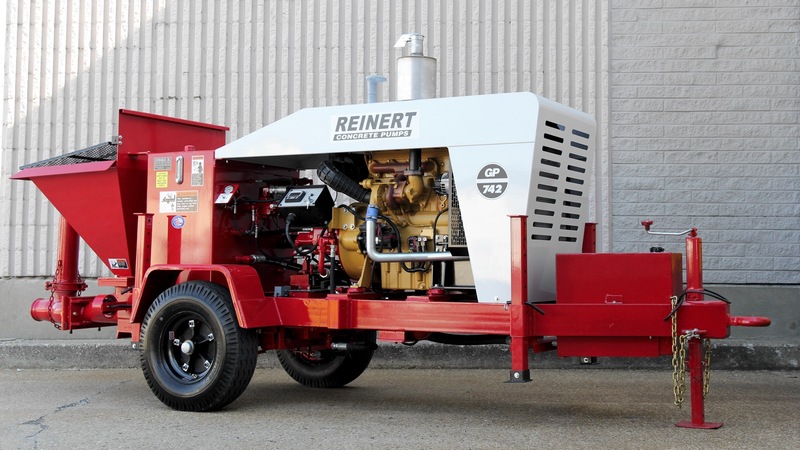 Reinert concrete pumps are manufactured with a single circuit hydraulic system, so if the accumulator stops working, the pump will still continue to operate. The uniquely designed hopper on Reinert pumps reduces material build-up in the hopper and allows for a quick and easy clean-up. 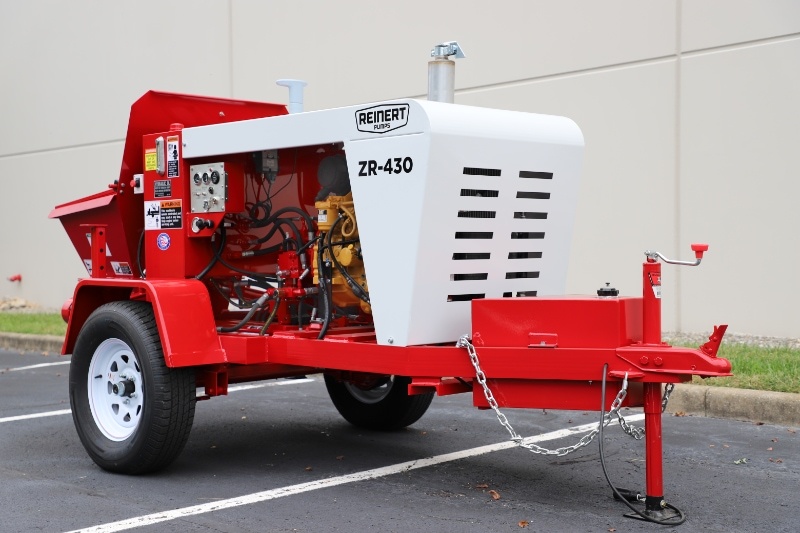 Reinert offers trailer-mounted concrete pumps and grout pumps ranging from 10 cyph up to 90 cyph, ensuring we have the right pump for your specific needs. Specialty pumps are available upon customer request.